Progress at 77 Greenwich Street has hit another milestone, with the tower crane now rising on-site. 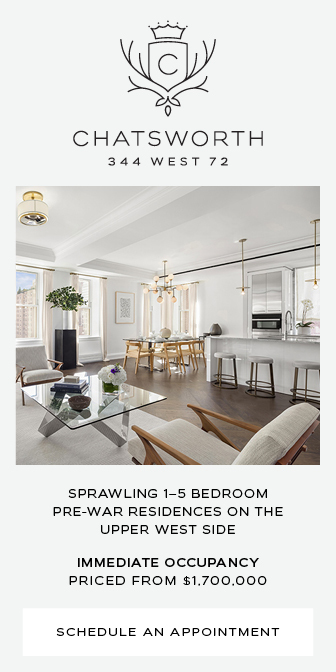 Located in Lower Manhattan between Trinity Place, Greenwich Street, Rector Street, and Edgar Street, the FX Collaborative-designed tower is set to rise 500 feet to its rooftop, and also has an address of 42 Trinity Place. 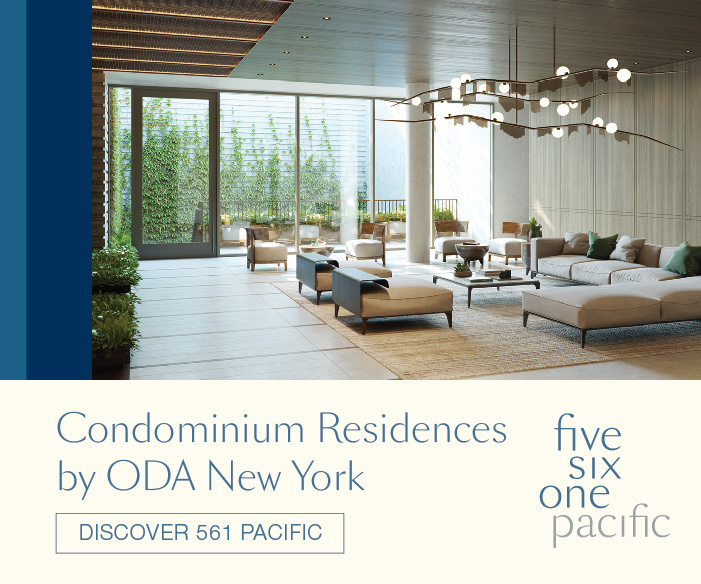 Inside, 90 condominiums will be situated atop a podium containing a grade school and retail space. 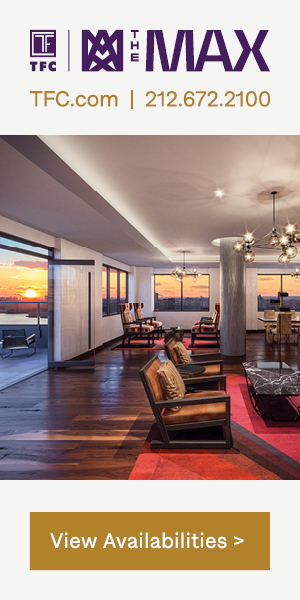 The 40-story project is being developed by Trinity Place Holdings. 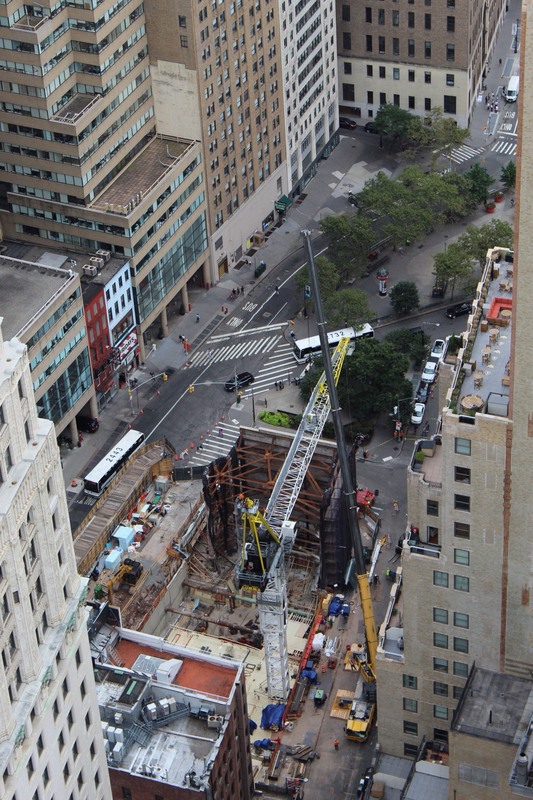 The lower foundation floors are currently being formed while the crane is positioned along the property line. It will eventually make its ascent to the top of the 150-foot podium where the main setback will be situated. Residents and attendees for the grade school have access to the 1, N, R and W subway stations to the north. 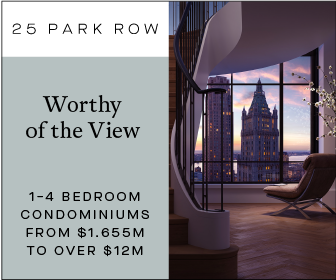 77 Greenwich is also a very close walk to other retail and dining choices to the north at Brookfield Place and Westfield World Trade Center. 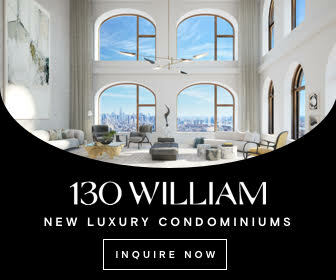 The tower is one of a number of brand new residential buildings in Lower Manhattan, a list that also includes 45 Broad Street, 130 William Street, One Seaport Residences, 125 Greenwich Street and 19 Dutch Street. 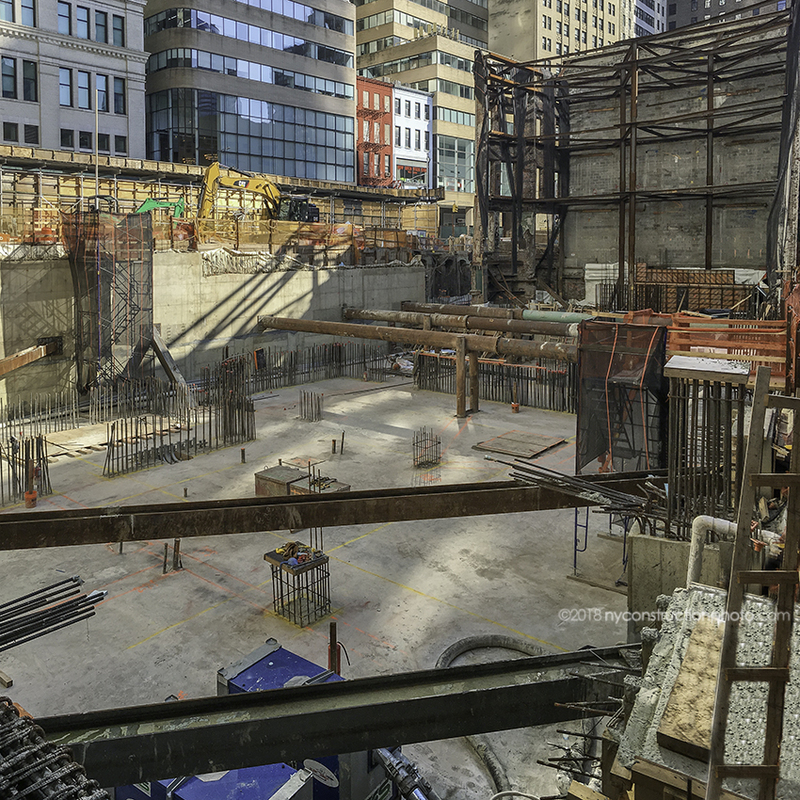 Completion of 77 Greenwich Street is expected sometime around 2021. 1 Comment on "Crane Assembled for 77 Greenwich Street as The Financial District’s Residential Skyscraper Boom Continues Apace"
Please pardon me for using your space: Do you like eagle’s design?